Learn how you can gain a competitive edge through innovative product design during one of our Solid Edge “Dare to Compare” events. See how Solid Edge enables real business advantages through a streamlined process of innovation. Most of us know the benefits of an effective 3D CAD strategy – reduced re-work, shortened time-to-market, improved product features, and more. But choosing the wrong CAD solution hurts your chances of making product design a competitive advantage. Don’t just follow the masses. Design with an edge – Solid Edge. Find out why Solid Edge is your best option for gaining a competitive edge in product design. Seeing is believing: get a free trial CD of Solid Edge and experience the advantages. 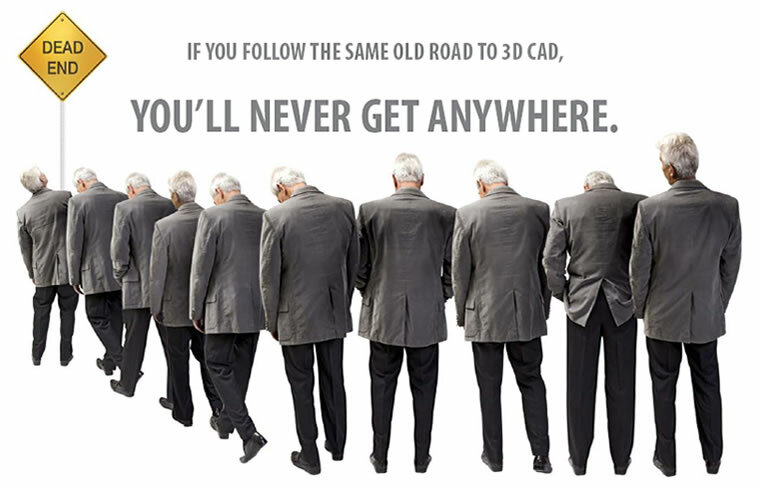 When companies benchmark for CAD technology leadership, most of them choose Solid Edge. With a choice of dual first-call support from both corporate and channel partner professionals, Solid Edge has the industry’s most flexible support and fastest response rates. With 3D as a stepping stone to PLM, Solid Edge from UGS is the last CAD decision you will ever have to make. UGS alone provides both scalable product design and modular, yet integrated PDM, CAE, and CAM solutions.